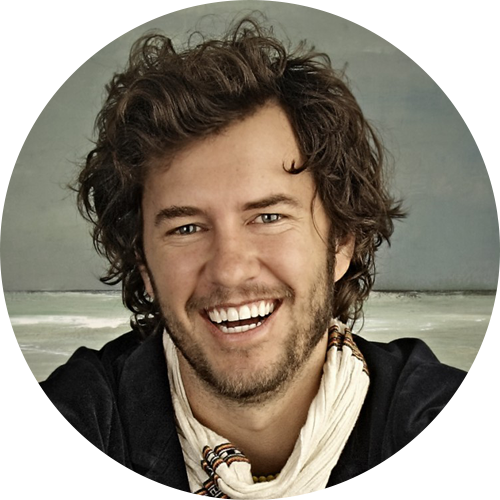 Blake Mycoskie is the Founder and Chief Shoe Giver of TOMS, and the person behind the One for One® movement. TOMS’ humble beginnings happened unintentionally: While traveling in Argentina in 2006, Blake witnessed the hardships faced by children growing up without shoes. His solution to the problem was simple, yet revolutionary: to create a for-profit business that was sustainable and not reliant on donations. Blake’s vision soon turned into the One for One business model -providing the powerful foundation for TOMS. Over the course of its first five years, TOMS provided millions of new shoes to children through humanitarian organizations. But Blake recognized other vital needs during his travels and saw that One for One could be applied to more than shoes. In 2011, he developed TOMS Eyewear, helping restore sight to a person in need with every pair purchased. As he learned more about international development, Blake saw the opportunity to address two vital needs in underserved communities; jobs and clean water. In 2014, Blake launched TOMS Roasting Co., a direct-trade, premium coffee line that helps provide clean water to communities in need. With the success of One for One and giving as a business model, entrepreneurs all over the world were inspired to start their own socially minded companies. These new brands offered consumers different ways to give back with their purchases. Blake recognized that this movement had become bigger than TOMS and launched The Marketplace in 2013. Bringing over 30 socially conscious brands together on TOMS.com, The Marketplace offered both a platform for these companies to succeed and a destination for consumers to shop and give their purchases a purpose. To date, TOMS Shoes has given over 35 million pairs of new shoes to children in need since 2006. TOMS Eyewear has helped to restore sight to over 250,000 people in need since its launch in 2011. With TOMS Roasting Company, every bag of coffee purchased will provide 140 liters of clean water to someone in need. In the fall of 2011, Blake released his first book, Start Something That Matters, offering his own story of inspiration and the power of incorporating giving into business. He references other companies and individuals who have been motivated and inspired to integrate philanthropy into their profession as well as their personal lives. The book became a New York Times bestseller. More importantly, it is Blake’s hope that Start Something That Matters inspires others to turn their passion and dreams into a reality. Blake’s unique approach to business has awarded him with numerous accolades. In 2009, Blake and TOMS received the Secretary of State’s 2009 Award of Corporate Excellence (ACE). At the Clinton Global Initiative University plenary session, former President Clinton introduced Blake to the audience as “one of the most interesting entrepreneurs (I’ve) ever met.” People Magazine featured Blake in its “Heroes Among Us” section, and TOMS Shoes was featured in the Bill Gates Time Magazine article “How to Fix Capitalism.” In 2011, Blake was named on Fortune Magazine’s “40 Under 40” list, recognizing him as one of the top young businessmen in the world. USA Today also named him one of the five best communicators in the world earlier this year. A native of Texas, Blake has always had an entrepreneurial spirit. Prior to TOMS, he started five businesses – his first being a successful campus laundry service, which he later sold. Between business ventures, Blake competed in the CBS primetime series, The Amazing Race. With his sister, Paige, Blake traveled the world and came within minutes of winning the $1 million dollar grand prize. Blake is an avid reader and traveler. He is passionate about inspiring young people to help make a better tomorrow, encouraging them to include giving in everything they do. His hope is to see a future full of social-minded businesses and consumers.